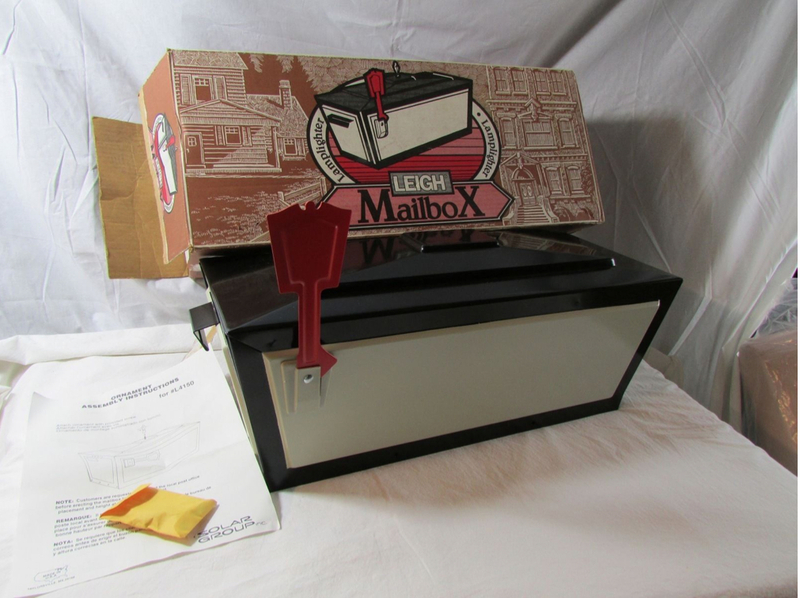 I’m still searching for mid-century mailboxes on ebay. I found this New Old Stock (NOS) Leigh mailbox; colonial design. Starting bid is $200! What is really interesting though, is that the ornament assembly instructions have Solar Group printed in the right bottom corner! So, I’m thinking, the mega-player in mailboxes, Gibralter Industries (Solar Group), acquired the retro-cool player Leigh Building Products. I wonder if they still have any of the dies?